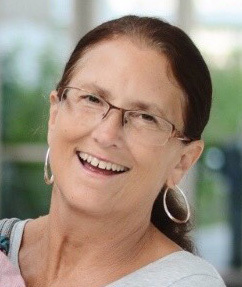 Obituary for Angela "Ang" (Russell) Skop | Penzien Funeral Homes, Inc.
Angela “Ang” Skop, 56, of East Jordan, passed away on Wednesday, June 20, 2018, at Hiland Cottage, a hospice house in Petoskey, after a long, courageous, hard fought battle with cancer. Angela was born on December 21, 1961, in Charlevoix, Michigan, the daughter of Donald and Jane (Campau) Russell. On February 27, 1982, in East Jordan, she married her life-long love, John Skop. She was a loving and devoted wife, mother, grammy, sister, and friend, always putting others before herself. She had the most generous, loving heart and touched many lives with her presence. She enjoyed traveling and camping with her children, loved watching them play competitive sports, and always did everything in her power to make sure her three children were happy, healthy, and loved beyond measure. Ang especially loved being with her 9 grandchildren and spending her days at Darlene’s Restaurant, now known as South Arm Café, where she worked for the last 20+ years. She is survived by her husband of 36 years; son, Nathan (Lindsey) Skop; daughter, Stefanie Skop; daughter, Jessica (Phillip) Peterson; grandchildren, Mylee, Wyatt, and Lilyana Pinney, Everly and Emme Skop-Weber, Bristol and Laken Skop, Mason and Harper Peterson; Mother-in-law, Reta Skop; stepfather, Lauren Donaldson; sister, Michele Russell; stepbrothers, Tom and Tracy Donaldson; fur babies Gracie and Remi. Proceeded in death by her parents, grandparents, and father in law. Family, friends, and others whose lives Angela touched are invited to funeral services which will be held on Monday, June 25, 2018, at 11:00 A.M. at the United Methodist Church, 201 4th St, East Jordan, MI 49727. The family will receive friends at church on Sunday, June 24, 2018, from 4:00 to 7:00 P.M. In lieu of flowers please consider making a donation to McLaren Hiland Cottage. 1 Hiland Drive, Petoskey, MI.